My name is Nino Olivotto. I was born sixty years ago in a farm in the countryside of Northern Italy growing grapes, grain and rice. I grew up in my courtyard together with two sisters, other farm kids, chickens, cows , horses and pigs. 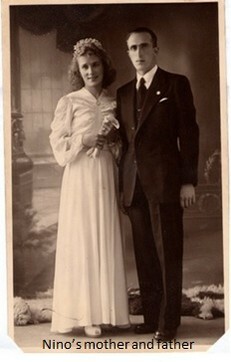 When I was eighteen years old, I relocated to town to take my Master in Engineering. Since then, I spent my full career with American High Tech companies in international roles from R&D and Services to Sales. I had therefore the privilege to combine the passion of my mother Lina for nature during the week-ends spent with family in the country-side and my competences in scientific methods and in operational efficiency of my father Angelo during the work-days spent internationally. For twenty years, I spent every summer vacation in the Salento county in Southern Italy where I grow my own olive crops aiming at the best quality olive oil possible. It was love since the beginning. In the worldwide historical capital of olive oil: Salento, I could finally combine my passion for nature (growing olive crops) with the engineering rigor (harvesting, milling, packing and online selling processes) to develop and make available globally the best food on planet : high quality Italian olive oil. 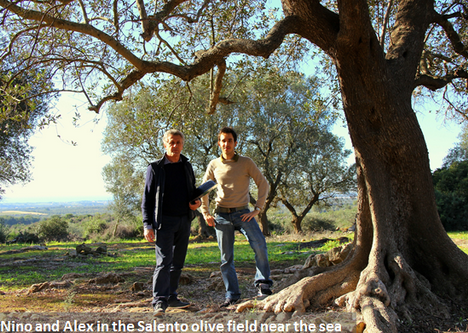 Together with my son Alex, we worked hard to search for the best secular olive trees, olives growing techniques and the most advanced processing mills, we have met with old crops farmers and Food Departments of local Universities / Labs and we have piloted online shopping technologies and customer experiences. -climate situation. We then process olives with the best milling technology available in the local eco-system. stocking and market selling olive oil. This is the way to go for affordable & healthy food. The FAMILY MAKING of olive oil from secular orchards, preserves all food micronutrients (minerals, vitamins and polyphenols / carotenoids). Recent epidemiologic studies (Dr Joel Wallach) proved that micronutrients deficiencies create most of the chronic degenerative diseases. The industrial food monoculture intensive crops improve macro (carbs, fats, proteins) but destroy the micro healthy side of food. Micronutrients are magic. Minerals and vitamins are needed stay healthy while polyphenols are primarily protecting the damages created by stress, pollution and wrong diets. With Internet the FAMILY SOLD becomes real! We use Amazon to make available our Zero Pesticides Olivottoil Extra Virgin Olive oil globally with a 24h delivery in USA / Canada and Europe. It is properly packed to be stored in Amazon Fulfillment Centers from where it can be delivered free in 24h to our Prime customer. To walk our talk in Italy we only sell Olivottoil through Coops. Coops (called GAS in Italy) are group of Families that meet periodically to socialize and order food from other Family made food. This Family to Family approach is also by far winning in terms of Sustainability, Fair Trading and Social stand point!!! We fully endorse and practice the 2013 Slow Food Manifesto that you can download here with an english translation provided by us.